When you are coming out of the winter months it is always great to have a moneth when you are making more money than you are spending. I mean, that makes sense right? Even though at times it may not be entirely too far in the black. Keep the perspective that a lot of the farms in the FFC are start-ups where they are investing in their farms future with equipment, infrastructure, marketing, etc... Many of these case studies and the common story of any beginning business is that most of the profits go back in to building the business. In the beginning of the year nad the beginning of your business there will be periods where you are constantly spending money and it seems like it will never come back. But every year Summer eventually comes and crops start to grow, customers come out of hibernation, and markets open up. Summer Farmers' Markets are opening everywhere. 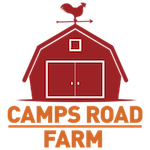 Camps Road Farm's summer market started May 9th. Humble Hill Farm is part of the crowd returning to the farmers' market. The market is not just a place to sell, but a place to market. There is a difference there and here's a little story to prove it. A couple of years ago when I was starting my Chicken CSA I could not yet (legally because I was processing chickens on farm) sell at the farmers' market. The other vendors were nice enough to let me come and talk up my CSA though. For the first month of markets I came with a chicken tractor, a tent, painted signs, an e-mail list sign up sheet, and marketing materials. I got most of my CSA members from people at the market. Even if you don't have a lot to sell, or anything to sell yet, going to the market, if you are able, can prove to be very valuable. I hit my CSA member goal that year and I am still farming! Too Busy to Make Money? A weird statement right? Until you're in the postition you would almost think it is ridiculous. Imagine being "so busy" that you forget to take someones money for something that you sold them. If you are so busy working on a pig roast, fixing a tractor, making hay, and there is no one to follow up on open invoices they can get lost in the fray. If you do not have a good book-keeping system in place to track all of that in case you do get distracted then that could be money lost forever and you're left at the end of the year wondering what happened. Even if you cannot immediately get on your accounts receiveable make sure you are writing everything down! A smart farmer is one that is willing to adapt to new information and resources. Colby is no exception. Having now watched his online farm marketing efforts after he became a participant in the Farm Finance Challenge this guy does it all. His latest adventure is into the world of instagram. Any small business and even life itself is an iterative process. You try something, you test the results, and you try again. That's Colby. Not afraid to try something new on his farm or with his farm marketing. In this month's report Colby shares his success with this new social media channel and what it has been doing for his customer engagement. He proves a point that new technology doesn't have to be a bad thing if it gets the job done. Keeping your customers engaged and up to date with what is happening onthe farm will increase customer retention and word of mouth. That is most easily done these days with a smart phone and a social media account. Be open, be honest, and be ready for positive feedback. Your tractor breaks, you lose a field of crops to pests, it downpours at a farmers' market and you don't hit your sales goal, stuff happens. Due to the nature of farming we tend to get caught up in all the details big and small that seemingly matter a lot with how your farm operates. I mean, this stuff really weighs on us, and it is hard. While it is important to have a certain level of focus on the details it is also important to keep an eye on the larger holistic picture. How is that small loss or victory weighed against the benefit of the whole. On Camps Road Farm we oftenhave to make a sacrifice to benefit the whole of our business model. The farm may fall a little behind in a certain area but the whole moves forward in a positive direction. The farm will purposelfully and intentionally fall short to help our brewery or distillery, and that is ok. The small picture stuff might be a little annoying, but weighed against the whole it all makes sense. Farming is a possion and a vocation. It is not about making money, producing food, or being a steward of the land. At the end of the day it is self-serving act of selfishness. You are working harder than you ever have before because you love some part of it. Your trials serve a greater whole of self and community. This month brings a combo post like you've never seen before. The Farm Finance Challenge and the Growing Farms Podcast have landed on the same day. In honor of such an event one of the participating farmers in the FFC is the interview on the podcast this week. Some of the farmers in the FFC are farming full time, others are homesteading or farming part time. Dan Berube of Berube Farm came on the show today to talk about the balance he has struck between farming vegetables part time and continuing a career off-farm. Everywhere poultry are laying more eggs, grass is starting to grow, buds are emerging on trees, and the season is warming up heading into the summer months. Q1, the first quarter of the year can be hard on some farms, especially in the NorthEast. It is a tough time of year where farms don't produce much and therefore do not profit that much. You have to plan ahead with your finances to cover the lean months before nature provides the warm summer bounty. The beautiful thing is that summer always comes. It is also not an ideal time to start publicly sharing your financials. There's not too much to be proud of income-wise when it comes to the past three months. Regardless, the farms involved in the FFC too a leap, accepted the challenge, and have been transparent about their finances hopefully to the benefit of the community as well as themselves. It is great to see the farm coming alive again hearalding the promises of a wonderful year. Whether you are farming conventional, organic, or aquapoinc, we need more farmers. That's a fact. Some people are called to teach as well as grow. Spencer over at Fresh Farm Aquapoincs helps non-profits and other farmers set up their aquaponics systems through consulting and workshops. It doesn't matter as much how you are farming, just that you are farming. The rest of the details and motivations will fall into place. WhatSpencer is doing is getting a new(er) was of producing food into schools and other institutions. The Farm Finance Challenge seeks to educate as well. We are publicly working on making our farms better so that our mistakes are not repeated. With aphids destroying crops, egg sales tanking, and hard-drives crashing this has certainly been a month of mistakes. We're not perfect and that is important to note. The beautiful thing is neither are you. Scott brought up a great point about the Spring thaw on his land. Observation. When you are starting a farm it takes time and observation to learn the land. What is the path of the sun? What are the water cycles like? What areas are full of life on your farm? What areas seem like they will never dry out? What areas seem like they never get rain? All of these things are super important to running your farm, and they're questions a real estate agent will not be able to answer for you. It takes time to learn a piece of land. You will grow with that land the way your farm business will, and the way your crops will. As you can see, this was a tough month for everyone. Hopefully April will be a little nicer. How will you prepare for the lean months? What are some creative ways to extend your season? Thanks for taking the time to listen in, and let me know what you think. You can leave a comment below, send me an e-mail, reach me on Facebook , or leave a 5 star rating in iTunes if you liked the show. https://youtu.be/ZOlBSzqKFwA Welcome to the second Farm Finance Challenge post of the year! This is a monumental post because it is proof we're here to stay and we're dedicated. Henry Ford said, "You can't build a reputation on what you are going to do." I believe in that whole-heartedly. This post is testament to the motivation of the participating farms to make a difference in small scale agriculture. After the 3rd and 4th post well, then it will just be habit, and we'll really start to see the change we are seeking by doing this. Response to the first post has been overwhelmingly positive and we want to thank you, our community, for following along and supporting our efforts here. We will continue to invite you to comment, ask questions, and leave feedback. Each farm post has a comments section at the bottom for you to share your thoughts. You can also reach out to any of the Farm Marketing Solutions Social Media Channels which are primarily Facebook, Twitter, YouTube, and Pinterest. Don't just feedback, but feed-forward (did I just coin a phrase?). If you like what we are doing please shareit forward through your various networks. This project is rooted in a desire to help other farmers and to support the community. We are doing this to raise awareness that your farm is a business and should be treated as such. It is a mindset shift and that shift is only going to happen if it is on people's minds. Every month we'll select three farms to highlight. We'll try to provide equal exposure for all the participating farms. The complete list of the farms and their respective pages can be found by scrolling to the bottom of the post. It is that time of year where the winter stores are running low and Spring hasn't quite shown it's beautiful green face yet. Farmers everywhere are preparing for the season, purchasing livestock, seeds, feed, and making final repairs on equipment before the extended sprint that is the growing season. As you'll see from everyone's numbers there are quite a bit of purchases and not a lot of money coming in. "Seeing these costs together, causes a sinking feeling in my gut." When you're farming with the seasons this is a thing that comes with the territory. This is the point when you have been dealt your cards, you're sending one or two back to the dealer, and you're getting ready to play your first hand of the season. It is risky and a little unnerving. At some point you are going to have to play that hand because Mother Nature is not going to wait for you. You will rack your brain and torture yourself with questions like, "Is this the right amount of chickens?" and "How am I going to sell more CSA shares this year?" The good thing is that as you crawl into your head and obsess about what's to come, the sun comes out and brings a warmth that you almost forgot since the end of last season. The bight rays of sunlight pull your out of your own head, remind you why you are doing this, and give you the confidence that Summer will be here and that you can do this. More and more small farms are surviving and thriving through a diversification of not only production methods, but marketing as well. Jean-Martin Fortier and Eliot Coleman are published authors, I have Farm Marketing Solutions and my chicken tractor book, and Jack Spirko and Austin have podcasts. There are benefits to this other than just the monetary value of what we are providing. Let me explain. In conversation with older and more experienced farmers I noticed a common thread of concern. That they would hand the reigns of farming over to the next generation and there would be knowledge lost in their passing of the torch. Their tips, tricks, and techniques would go unshared, undiscovered, to be lost and found again through trial and error. No one of the people above completely invented the techniques they use on their farms, they're just the first to write or talk about it. Their stories are the distillation of their life experiences of talking to those more experienced farmers. We are living in a time where information is almost too easy to share. Within the mindless chatter that is most of the internet are these individuals who are taking their knowledge and experience and sharing it in a meaningful way with those who care to listen. Now something like Jean-Martin's book The Market Gardener can get exposure like never before. JM told me that he discovered that his mission in this life is to "grow more farmers". He put that sentiment into his book and I heard it in his workshops at PV2. That is also the heart of the Farm Finance Challenge, to grow farmers in a smart and effective way. If we all want to see positive change in the world we have to do it in a way that provides an alternative to the industrial food system while working around the red tape and loop holes within that system. Change will not come quickly but it is happening and the free sharing of information is what is going to get us there. Pricing your farm products is always a tricky process. It is a balancing act on what you think your market will pay, wanting to cover all your costs, and staying competitive with other farmers and the supermarket. Unless you have all the information that goes into those various elements it can be a guessing game with potentially bad results. Doing market research to see what other farmers are charging as well as what the prices are at the local supermarket is a great way to give you a ball-park for what you should be charging for your farm products. When I was pricing chickens originally I went to every store in a radius that I thought my typical customer would travel to buy food. I took my notebook and wrote down every price for chicken that I could find, from conventional to organic. Those numbers combined with my Cost Of Goods Sold analysis gave me the price I thought would be appropriate for selling chickens. When you are starting a farm that's about as good as it can get. Once you have started your farm however it is good record keeping that is going to win out. If you keep good records you will then have an exact number on what you spent on feed, labor, and other expendables that you need to produce that product. Jonathan acknowledges that in the end of his post saying, "I believe this challenge and record keeping, will make pricing my hay and syrup much easier to figure out." http://youtu.be/UhpgBGMGh5E This is the first ever public Farm Finance Challenge report! We are breaking ground on a whole new level of transparency and we hope that it is as exciting for you as it is for us! You may remember from our post yesterday that there are over a dozen farms involved in this Challenge. Each one of us comes to the table with different stories, diferent scales, and different ways to do things. However we are united under one ideal, to solve the problem of financial sustainability in small scale agriculture. Each month we will be publishing our records on the Farm Marketing Solutions blog to collaborate on finding answers to the hard to ask questions like, "Can we make it? Can my farm succeed?" While this Challenge highlights a bakers' dozen of farms the over-arching principal stretches to small farms everywhere. We invite you to comment on the reports published. Find your favorite farms and follow them. Keep the conversation going and give us feedback. Farming is a struggle and we are going to make it work only by working together. We only ask that you keep it nice. If you post anything mean or inappropriate about the participating farms we will remove the comment and ban you from the website. This is not a critique on different farming practices but rather a place to go for mutual respect and support. Every month we will pull a few highlights from the various posts by farmers. We'll start the post with those highlights and then give you a chance to click on whatever farm you wish from there. "For a New England vegetable farm, January is really a prep month. Berube Farm sells from July-October, and we don’t have any greenhouse space so as far as farming goes, we’re shut down. January is when I get organized, so that’s when things get busy outside, I have plans to refer back to. So for January I decided how many CSA customers I’ll be able to take for 2015, and put shares on sale to my returning customers. In February I’ll open sales up to new customers." Dan doesa great job at sharing what he is doing on farm in the Winter. The FFC will create a cash flow statement throughout the year. Ifyou are beginning a farm it's good to really know that winter gets pretty thin as far as finances and work. There seems to be plenty to do with looking at seed catalogs, updating your record keeping systems for the year, creating budgets, editing your farm website, etc... But in most cases the income is just not there. Every month all the participants are sharing some thoughts on the month and maybe a hard lesson learned or two. This month Rockin' H Farm brought up a really good point. Early in their post when they thought to compare January's numbers to December's numbers they did not put anything down because "We did not keep a good record last year so we do not have this data for December." Then at the end of their January report they comment on their recordkeeping and how it has changed,"Tracking all of our finances is a lot easier than we thought it would be when you set up a system and commit to updating daily or at least every-other day." I have very much found the same thing. The real trick to this whole thing is discipline. No matter if you are doing it on a notebook, in Quickbooks, or on an excel spreadsheet, as long as you are actually taking the time to write things down you will have the information. If you cannot seem to put the time aside then you will be left in the dark. The Farm Finance Challenge exists to encourage maintaining that discipline. The participating farmers are already feeling the positive effects of accountability and it shows in the fact that we have numbers to share. Here on Camps Road Farm we have been doing a fair amount of "setting up for the year" like Dan Berube mentions up above. Reworking the business plan, upgrading things on the farm, and preparing for the year. One of the projects we have in the works is setting up a farm store on the property. We have an old milking room as part of an old milking barn. It was full of ...stuff and was an absolute mess. However, it is structurally sound, really only needs a good cleaning and a coat of paint, and is in a great location on the farm. We saw a need on farm to have a dedicated retail space, we took stock of what our assets and infrastructure were, even if they were looking pretty ugly, and we are taking action to ustilize our existing building to solve the problem of no on-farm retail space. In the end it will only cost some labor and some paint but will result in a cute little marketing avenuefor our farm products. In addition to clearing it out we checking with the town zoning about putting it in and attracting customers. There is a permit process, public hearings, and a $210 fee just to just to use a room that already existed on our private property. Isn't that nice? When dealing with small town politics I find it's best to just jump through the hoops and get the job done. It may seem unfair to pay $210 for something that you already have considering the tight margins of a farm, but whatever. Grin and bear it and make the best effort to make your new farm store a success. So what exactly is the Farm Finance Challenge? The FFC is a group of farms aiming to solve the problem of financial sustainability in small scale agriculture. While all the farms involved come from different backgrounds and have different business models, we found really quickly that we all aligned on a small set of very specific goals. Record keeping can be dull, tedius, and at times just completely forgotten. This is a problem that spans most small businesses. Without accurate record keeping you do not know how to set prices, determine the viability of what you are doing, and can put you out of business without you having a clear idea of how you got there. There are a lot of "solutions" out there that are both digital and analog. There are smartphone apps, software solutions, and businesses built on organizing your information. There is also the other end of the spectrum with notebooks, envelopes, and folders. The problem is that no one has really "nailed it" yet, or if they have they're not sharing their secrets. The FFC aims to test these solutions and share what we find effective and ineffective so that we can provide the tools farmers need to succeed financially. The hardest part about record keeping is discipline. No matter how you do it, if you don't actually do it, then what good is it doing? None. Think back to when you were in school, when you had a test coming up you crammed and studied and organized all your thoughts and information. Having a monthly deadline forces us to maintain the discipline of proper record keeping and keeps us accountable to our peers. This has already proven effective as we move into the first post. With the growth in the small scale AG area of the world there is a lot of "this is how you farm"and "you should farm, it's great" information going around but no clear view of just how much money does a farm make. We will be building a case-study for young and beginning farmers to use to help support and grow the sustainable AG movement. I know it would have changed my life to have clear numbers on the actual profitability of different farms when I was starting out. We are a community unlike any other with lofty goals of saving the planet. By letting budding agriculturalists peak under the hood we are providing the necessary tools of information to make educated decisions. Remeber, G.I. Joe said, "Knowing is half the battle." While the FFC will highlight only a tiny percetage of farms in America the potential reach is global. This is about all of you as much as it is about the dozen or so of us. I encourage you to follow and support your favorite farms in the challenge. Leave comments on their pages to give them advice, feedback, and positive reinforcement. Use the FFC to your own benefit by learning from our numbers and our hard lessons learned. Follow along and use the accountability deadlines to keep your own farm on track.